Westpac chief economist Dominick Stephens expected the housing market to experience a temporary and modest pickup in late 2018, due to a sudden drop in fixed mortgage rates and the RBNZ loosening its LVR mortgage lending restrictions. He says that, overall, the latest data (October/November) has been too volatile to draw any definitive conclusion about whether the market has indeed picked up. More data will be required to confirm whether or not the anticipated modest housing market upturn has come to pass. 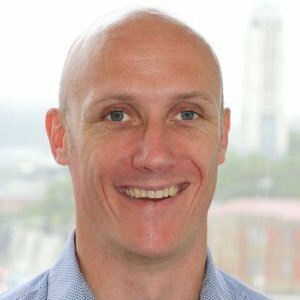 CoreLogic head of research Nick Goodall says there’s LOTS going on in the coming year. That includes the recent LVR changes, which he doesn’t think will have a big impact on activity, and the likelihood of interest rates rises, which he thinks will be small when they happen. There’s also the bedding in of the foreign buyers ban. Goodall says they will be watching the impact closely, but he cautions the ban doesn’t factor in corporate transactions (where it’s hard to distinguish between domestic and foreign buying), which can be as much as 10% of activity. “Foreign buyers can still buy into NZ if they are buying off the plans and holding apartments in bigger developments. This is important funding and commitment to buy can help kick off at a time when securing development finance from banks has become harder. For investors, 2019’s biggie could be the move to ring-fence rental property losses for tax relief purposes, which is scheduled for April. Goodall says it will mean that any losses can still be applied for tax relief, but limited to the asset class of property. While the traditional economic cycle may have…………….